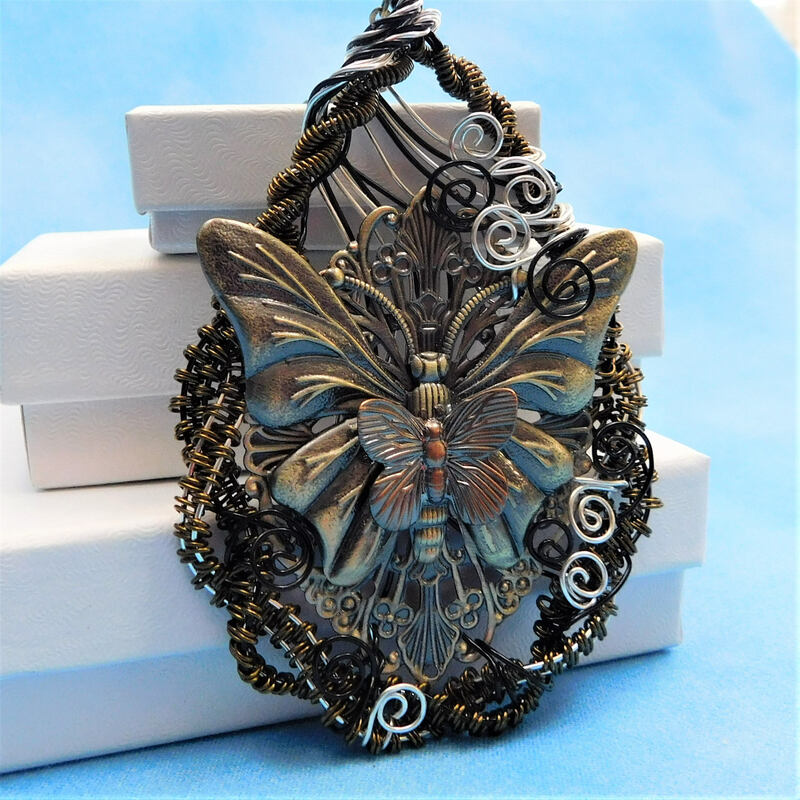 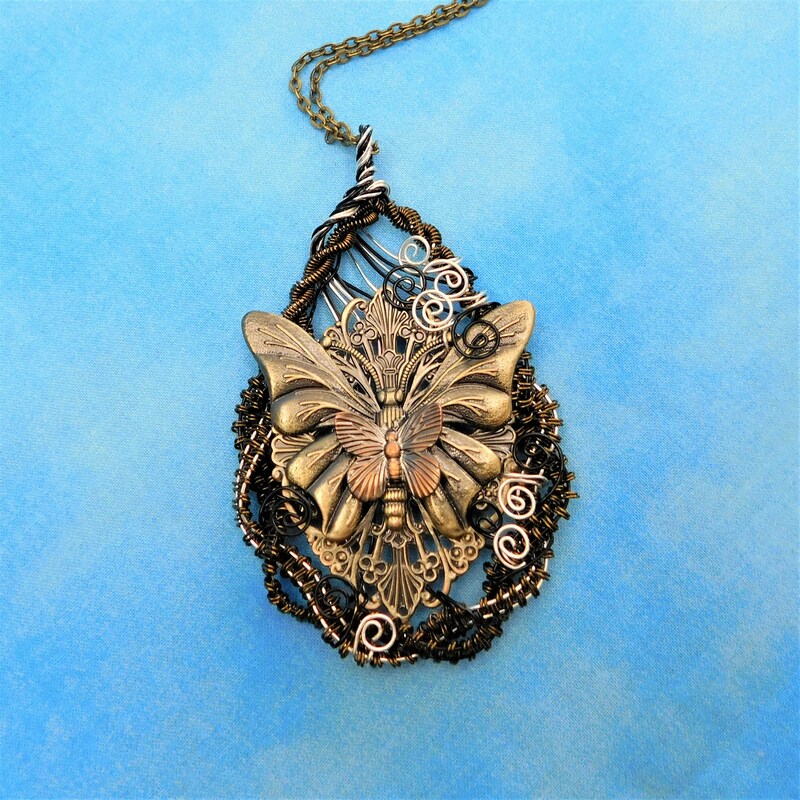 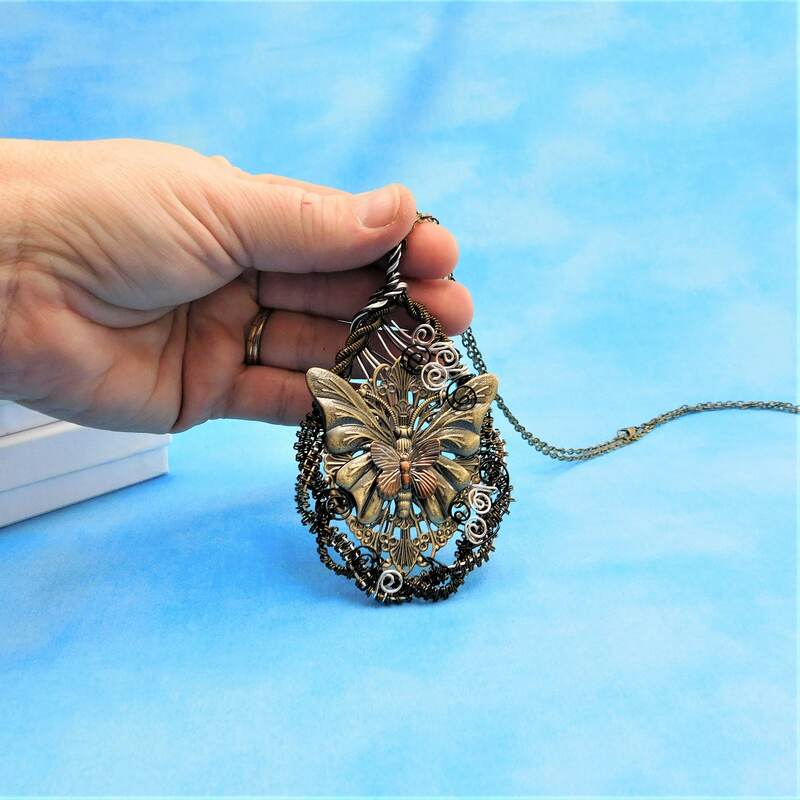 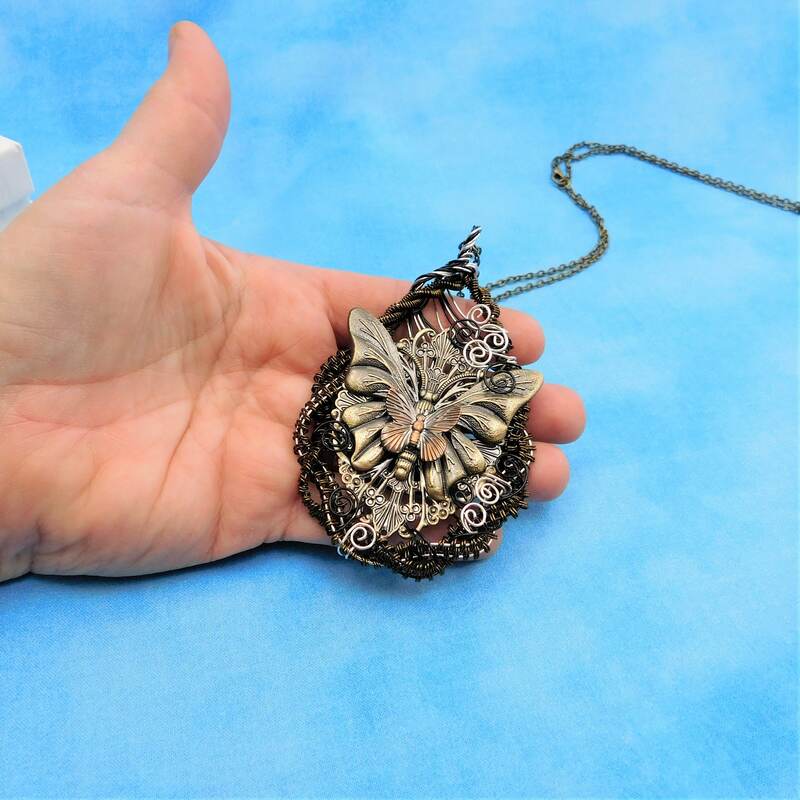 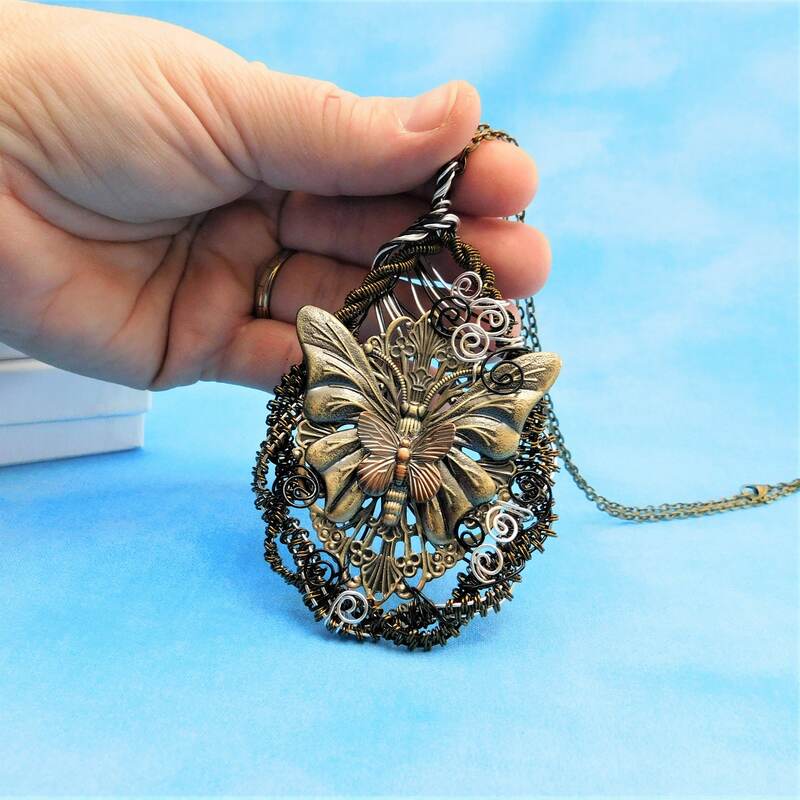 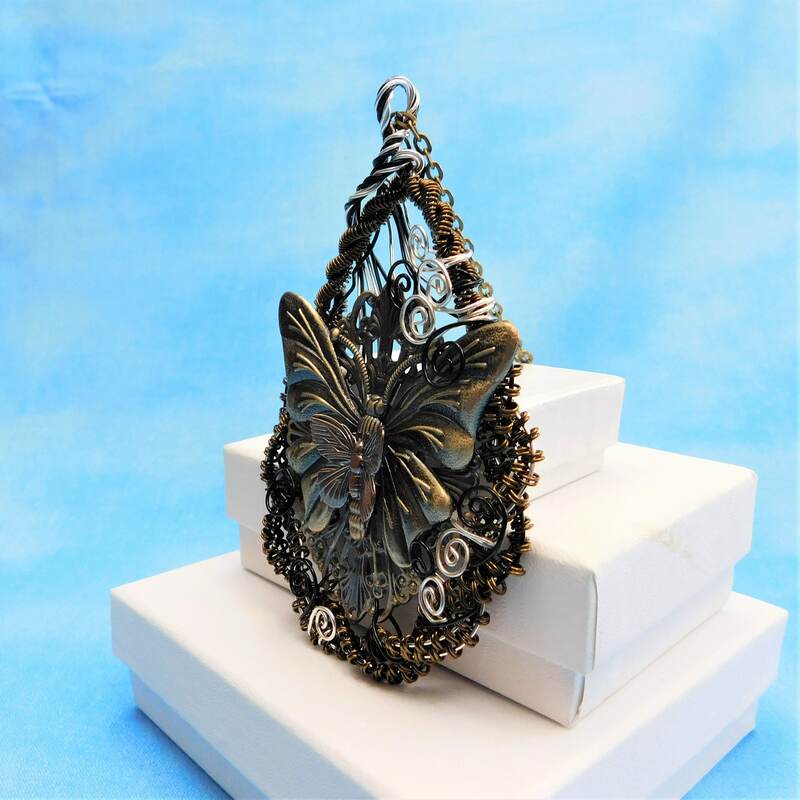 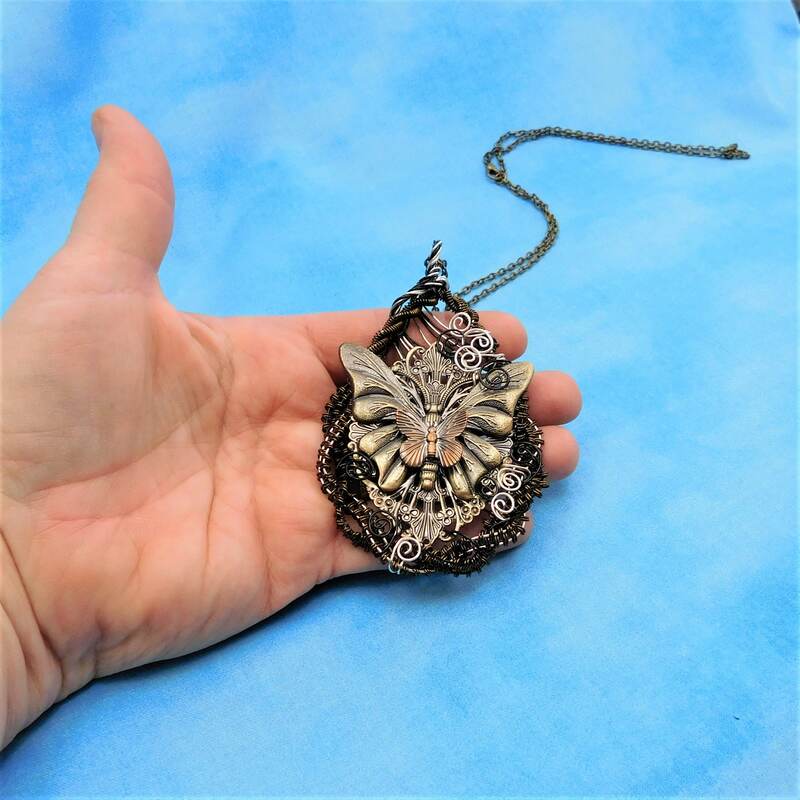 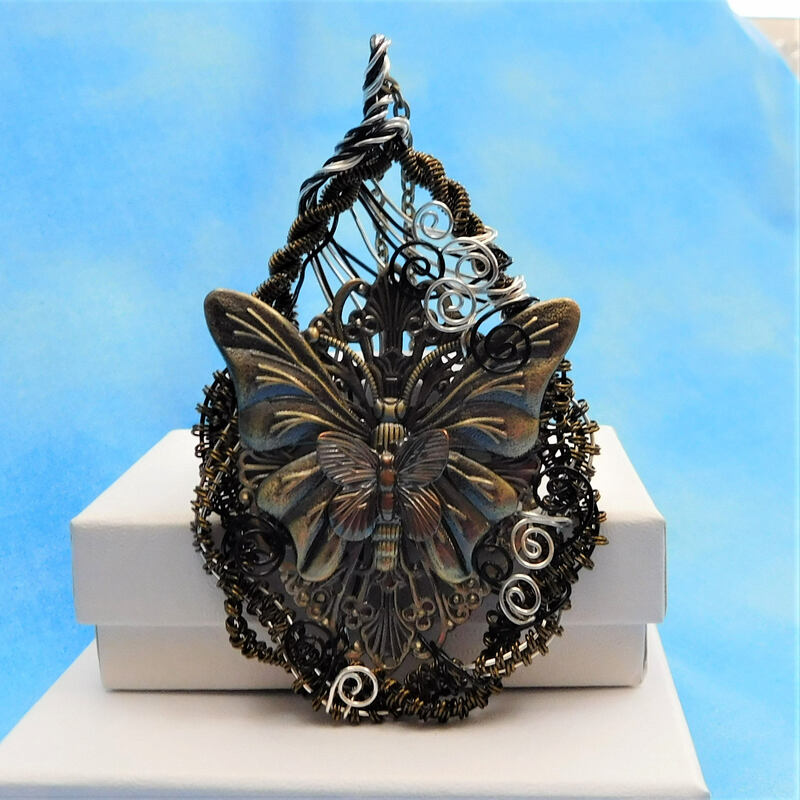 A large butterfly is framed in hand woven and braided non tarnish vintage bronze, black and fine silver over copper wire. 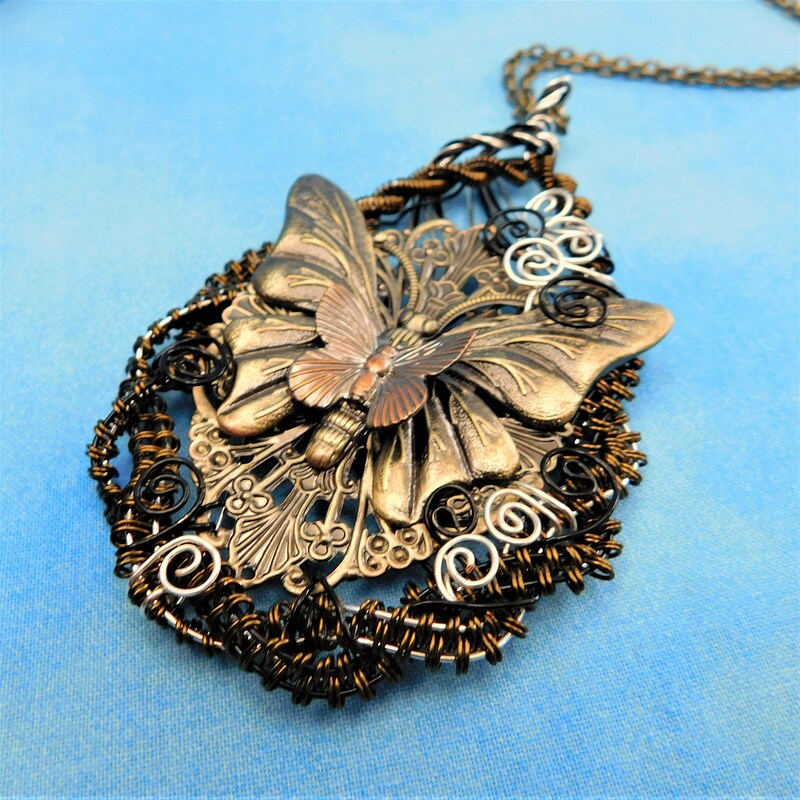 This is a complex and time intensive design requiring great attention to detail. 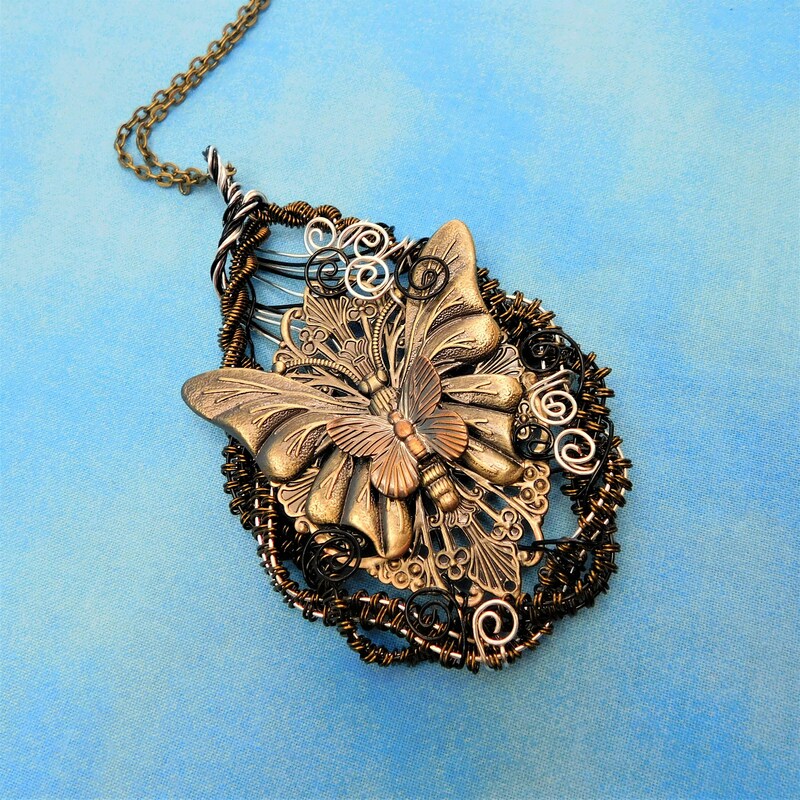 The wearer will appreciate the distinctive and artistic value of this substantial statement piece.